In 1846 The Georgia State Fair had a mission to promote agriculture interests, and traveled around the state to accommodate the farmers in Georgia and the surrounding states. It wasn’t until 1871 when a fairground was officially established for the state. After all those years, the fair strives to continue to rebuild the agriculture and livestock programs that the fair was founded upon while also maintaining it’s lively family friendly atmosphere. The fair is ever growing and with that growth, there is more desire to attend the fair every year. We will provide you with the insight and know-how on getting those tickets and enjoying your time with family and friends at the Georgia State Fair. In order to buy tickets to the fair, you need to know when the fair will be taking place and when tickets go on sale. To know this you’ll need to be watching for anything that has to do with the fair, and as far as keeping up with the fair online, the only way to do this is to like them on Facebook where they will make announcements on the Fair dates and information on tickets deals and prices. If you can’t find anything on Facebook then we suggest checking in on the Fair’s website in the early summer months for insight about all fair news. Once you know the dates, all you have to do it wait for when tickets go on sale! Early in the summer, tickets may be available for an advance discount price for a short time before going to normal price. Be sure to watch their website and Facebook for these announcements. Tickets will be available for purchase online or at the gate. Ride wristbands can be purchased in the park. Ticket prices include: $10 for Adults, $5 for Seniors and Youth, and Children 4 and under get in free. 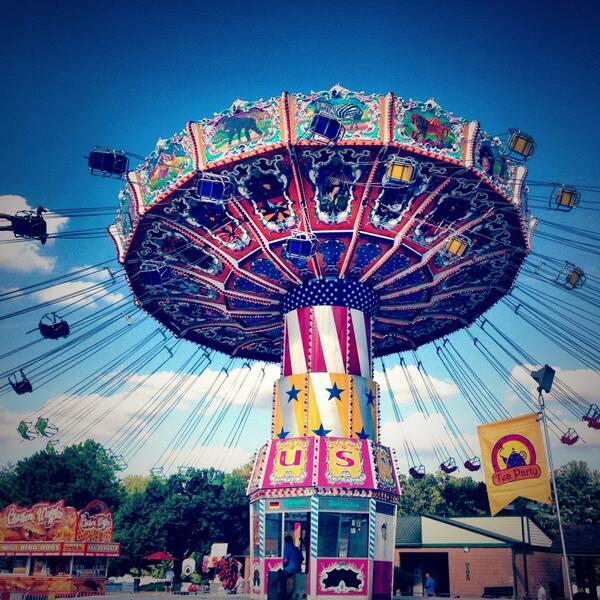 What sort of events and attractions will you be able to see at the fair? They’ve got Pig Races, Helicopter rides, Tiger display, The Banana Derby, Wolf Encounter, The Freakshow Deluxe, Wade Henry, Masters of Chainsaw, Puppetone Rockers, and Coronas Hollywood Circus! Stay tuned in the coming weeks for information on the Georgia National Fair! If you have any questions or concerns contact the Georgia state fair, or if you have any questions for us, send us an email at contact@ticketcrusader.com.